Garlic Bread and Mama Mancini’s Meatballs in Sauce, perfect together. Here is my recipe for Garlic Bread and this recipe will be enough for a 12″-14″ loaf of Italian bread. 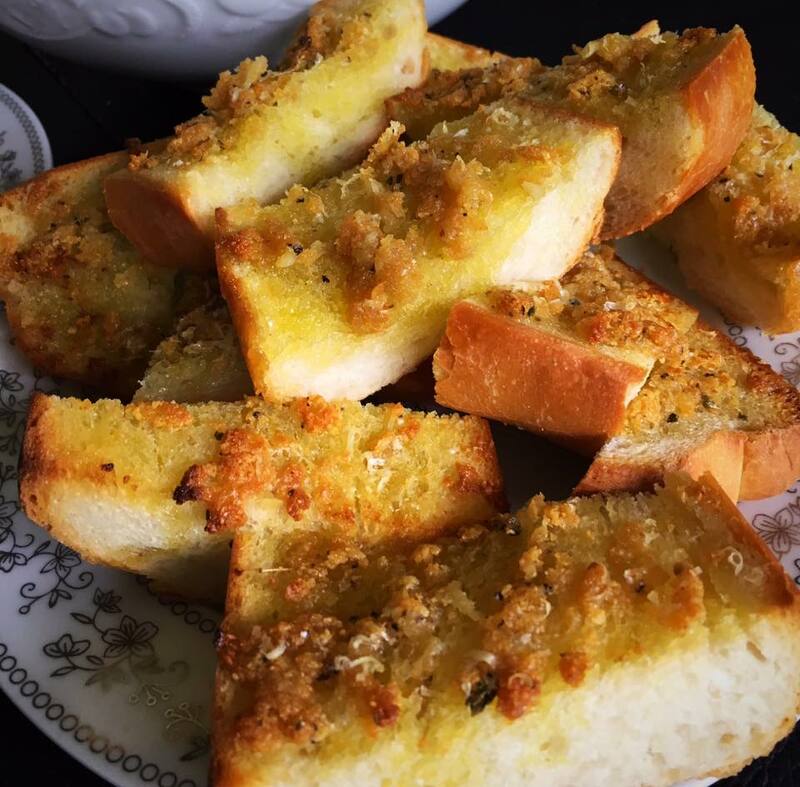 I love garlic bread and I make all types using different cheeses and herbs. The recipe here is absolutely delicious and a great starting point. Put the butter, garlic, salt, oregano, pepper and red pepper in a bowl and mix to form a paste. Slice your bread in half lengthwise and place on a baking sheet. Drizzle olive oil on the open side of the bread and spread it around with the back of a spoon. Take the garlic paste and using a spread it evenly all over the open side of the bread on top of the olive oil. Sprinkle the grated cheese on the spread. Let this sit for 10 minutes before baking. Place the baking sheet into a pre heated 450 degree oven. Bake the bread until it is golden brown. You can finish with some minced parsley and more grated cheese if you like. I love garlic so I use a lot even more then what I listed here but that’s up to you.